Research has shown TeaCrine® boosts energy, mental clarity and clean focus but without the jitters, fatigued crash and tolerance build-up over time. The energy boosting effects of TeaCrine® have been proven to be long-lasting as they remain noticeable for a prolonged period after consumption. When taken before exercise TeaCrine® supports the release of free fatty acids into the bloodstream which further helps with stamina and endurance. 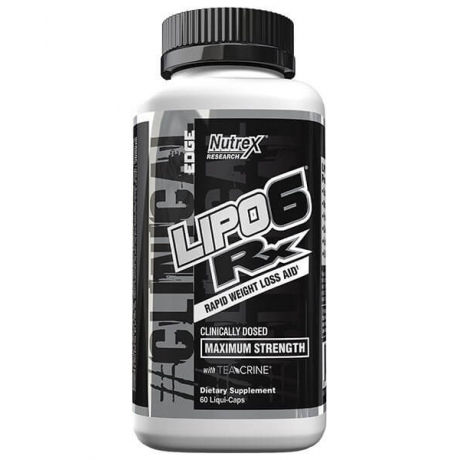 LIPO-6 Rx sets a new standard in the weight loss category: It is a CLINICALLY DOSED fat burner. 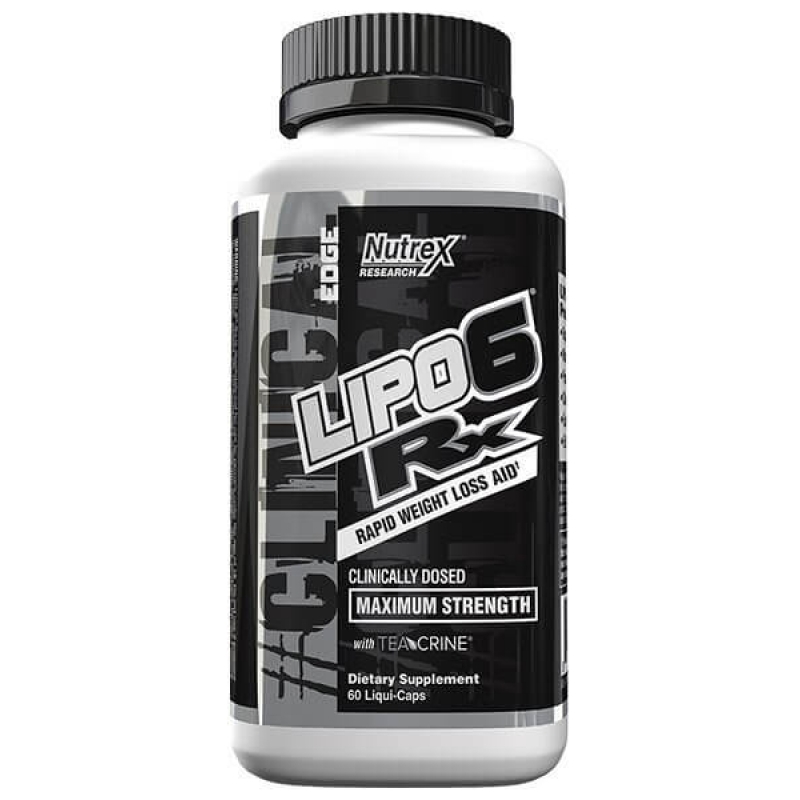 With a combination of seven different compounds at full effective (clinical) doses, LIPO-6 Rx supports maximum fat-burning, appetite control, energy and focus. LIPO-6 Rx is a complete all-in-one fat burner that offers unreal results and many weight-loss supporting benefits. Its powerful profile of fully disclosed ingredients gives you more of what you want: stronger thermogenic response, noticeable appetite suppression along with longer lasting energy and increased mental clarity. Experience the difference of CLINICALLY DOSED LIPO-6 Rx and take your weight loss efforts to a new level. Note: Due to the potency of this formula we advise that you do not exceed the recommended dose.